Stefanie Jay, the Vice President and General Manager of the Walmart Media Group, announced that the retail giant acquired the technology behind Polymorph Labs. Polymorph Labs launched in 2013 and was previously known as AdsNative. Polymorph was founded by Dhawal Mujumdar (head of product), Kuldeep Kapade (VP of Engineering), former CTO Max Gutman, Philip Foeckler, and CEO Satish Polisetti. Prior to the acquisition, Polymorph raised over $10.5 million from VC organizations like Rakuten Ventures, Interwest Partners, and Onset Ventures. The terms of this deal were undisclosed. And In the past few years, Walmart has been quietly building its advertising technology. Walmart’s ad technology offers full-funnel and targeted data powered by online and in-store sales. Polymorph’s technology platform is already proven at scale and it will enable Walmart advertisers to on-board quickly and select audience segments based on shopping behavior like cat food buyers vs. dog food buyers. And it will automate ad delivery and then measure whether their ads influenced a sale. Plus Polymorph’s ad server is also much faster than the traditional client-side servers so Walmart shoppers on the website and mobile app will be served ads that are more relevant and delivered faster. Over 90% of Americans shop at Walmart every year and there are nearly 160 million people that visit Walmart’s stores and websites every week. And Walmart Media Group enables brands to reach more customers at scale and measure advertising effectiveness across the entire shopping journey. So brands will understand if someone saw their ad on Walmart’s platform or across the Internet and whether the product was purchased in-store or online. 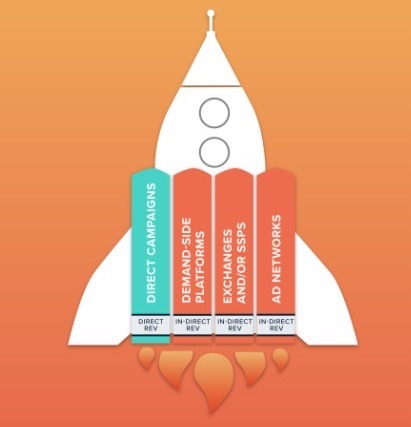 “Ultimately, the acquisition of Polymorph technology will enable both existing and new advertisers to control their ad spending with us and reach their desired audiences more effectively. We’re thrilled to have the talented team at Polymorph Labs join Walmart Media Group to help us do just that,” added Jay.